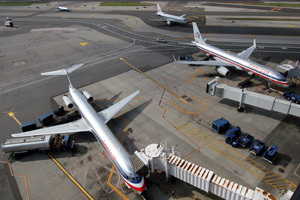 LaGuardia Airport’s Central Terminal Building is overcrowded and outmoded, said Robert Aaronson, then aviation director of the Port Authority of New York and New Jersey (PANYNJ), in an interview with Newsday. That was in 1986. It has not gotten much better. The authority, which manages LaGuardia and four other New York area airports, and airlines have invested more than $1 billion in various redevelopment and improvement projects at the airport with little discernable improvement since Aaronson’s comment. There is the eerily quiet US Airways terminal (soon to be partially occupied by Delta Air Lines) that opened in 1992, the atrium and food court at the centre of the CTB that opened in 1997 and a new control tower that opened in 2010. Travelers and airlines still hold disdain for the airport. They face crowded security checkpoints, narrow concourses, limited concession options and cramped gate holding areas inside the terminal. Aircraft operations on the ramp are limited by the narrow spaces between the concourses and gates designed for the 1960s-era McDonnell Douglas DC-9 (the -10 series was in development when the CTB opened). Numerous surveys and rankings confirm these opinions. 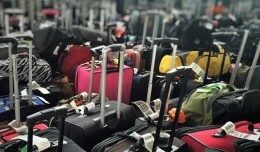 JD Power and Associates and Zagat Survey have repeatedly called the airport the worst in terms of passenger satisfaction in America. Frommer’s recently said that it would be far better suited for somewhere like Kansas City – a far cry from the global metropolis of New York. And outspoken real estate mogul Donald Trump has called it a “third world airport,” though he still keeps his own private jet there after many years. The CTB was designed for about eight million passengers per year when it opened in April 1964. Renovations and expansion projects over the years expanded that capacity to about 15 million per year, according to PANYNJ estimates in 1990. It handled 13 million passengers in 2006 but peaked at nearly 19 million in the late 1970s and early 1980s. “[LaGuardia] should fundamentally be town down and rebuilt again,” said Chris Ward, then executive director of the PANYNJ, at a Crain’s New York Business Forum in April 2010. That is exactly what the authority hopes to do. 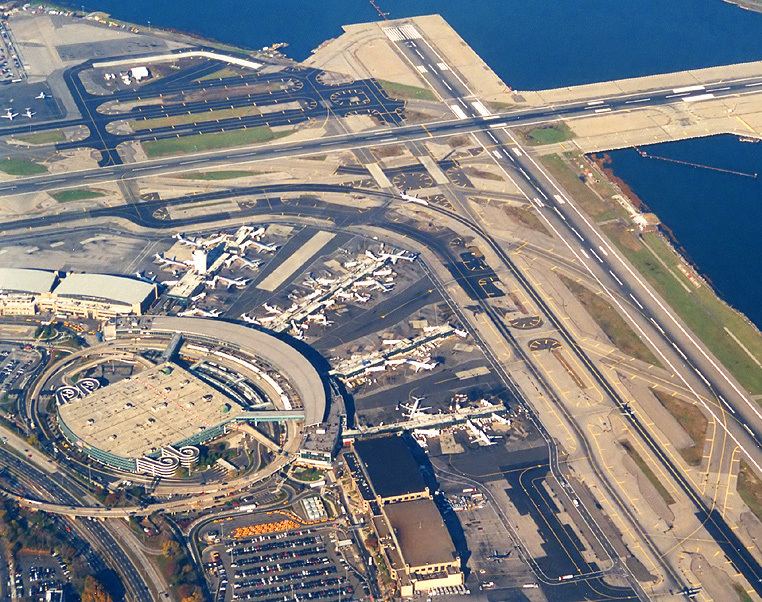 The PANYNJ released a request for information (RFI) for a new CTB to private firms last month. The building was described as functionally deficient and inadequate for the level of service expected by airlines and passengers today. Interested companies are asked to submit recommendations on how to finance the estimated $3.6 billion project and speed up the proposed seven-year construction timeline. The RFI is the first step of what will undoubtedly be a long process. The proposal outlines plans to demolish the CTB and hangar two in phases and replace it with a new, three-pier terminal. The new facility would have 1.3 million square feet, up to 38 gates and include space for a future rail station at the airport. It would also connect to the US Airways terminal. The existing CTB has 750,000 square feet and 36 gates located on four concourses. Construction is currently slated to begin in July 2014 and be complete at the end of 2021. What type of aircraft the terminal will be designed for is the big question. Regional jets, ranging from the 37-seat Embraer ERJ-135 to the around 100-seat ERJ-190, flew 52.5% of the departures from LaGuardia during the first seven months of 2011, according to US Department of Transportation statistics. Narrowbody mainline aircraft, including the Boeing 737 and Airbus A320 families, operated 38.7% of departures and small turboprops, such as the Bombardier Dash-8, just 7.8% of flights out during the same period. Widebodies represented only 1% of departures. Ron Marsico, a spokesperson for the authority, said it is too early in the planning process to provide specifics on the number of regional jet, narrowbody and widebody gates and hardstands the project would create. The replacement is still in the early planning and design stages, which are scheduled to be complete in the first quarter of 2013, according to the RFI. Gates at the new terminal could be common use. 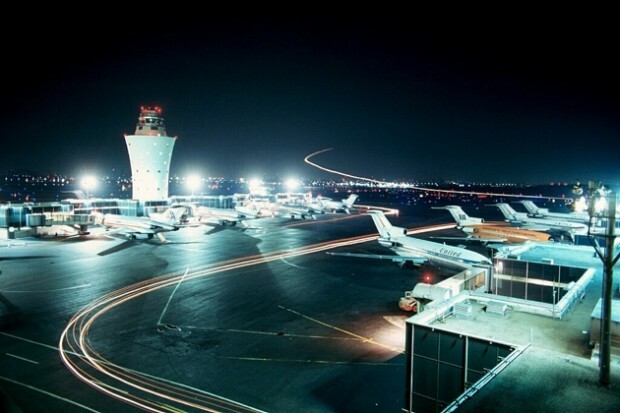 The operating model is common at airports in Europe and elsewhere in the world – though not for domestic gates in the US – and could allow for increased utilization of the scarce resource at LaGuardia. 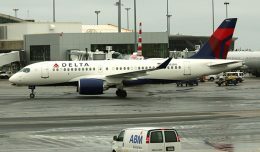 Robert Mann, an airline industry analyst at RW Mann & Company, said the practice could better suit airlines’ increasing need for flexibility and eliminates large carriers’ ability to withhold gates from competitors or new entrants. Impact on the existing taxiway and runway alignment has not been determined. A conceptual design of the new facility fit within the footprint of the existing CTB and hangars in a diagram published in the RFI but was shown encroaching on taxiways Alpha and Bravo in a diagram published in The Wall Street Journal. Ron Marsico, a spokesperson for the authority, said this will be determined by the final design of the new terminal, which is expected to be complete in 2013. Redesigning the existing taxiway and runway layout at LaGuardia is unlikely. Moving taxiways Alpha or Bravo to the north side of runway 13-31 would require filling in some of adjacent Flushing Bay. Such a move would almost certainly face strong opposition from residents of Queens and environmentalists, as well as significantly increase the cost of the project for the cash-strapped authority. 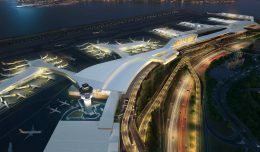 The PANYNJ will consider private proposals to invest, finance, operate and maintain the new terminal. This would be similar to its relationship with JFK International Air Terminal (IAT), a consortium of private investors that own and operate Terminal 4 at JFK International Airport. Marsico said that they would determine the ownership and management of the new CTB later in the procurement process. Replacing the CTB is an old idea. The last official discussion was the announcement of a $15 million study of how to modernize and improve the building by the PANYNJ in 2005. Marsico said that the current proposal is a continuation of that study but he noted that replacement and modernization discussions have repeatedly taken place prior to that. Those talks date back to at least the mid-1970s. 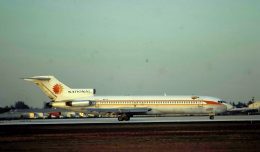 The CTB handled all of the airline passenger traffic at LaGuardia except for the Eastern Air Shuttle in the 1970s. One of the first solutions to expand capacity was construction of the 10-gate Delta terminal, which was approved by the authority in October 1979. 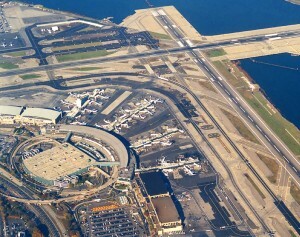 It opened at the eastern end of the airport in 1983. The Marine Air Terminal reopened to commercial passenger traffic with the launch of the Pan Am Shuttle in 1986 after being closed since 1952. The PANYNJ announced the next major expansion and renovation plan for the CTB and LaGuardia in 1986. 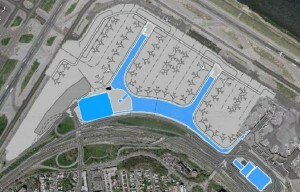 The $335 million project included renovating the terminal and extending its baggage claim level 55 feet towards the parking garage, widening the departures roadway to six lanes from three, building a new 12-gate East End terminal (today’s US Airways terminal) that would be connected to the then Eastern Shuttle building as well as additional roadway and access improvements. The $47 million dining and atrium expansion of the CTB began in 1995 and various additional renovations and cosmetic improvements have been completed in the years since. “I’ve seen the outlines and it’s something that will make things a lot more efficient,” said Boyd, who began his career in the airline industry at the CTB in the early 1970s. 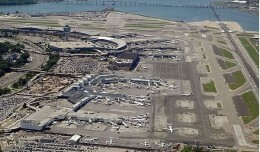 But he added that PANYNJ has done an “amazing” job maintaining and improving the existing terminal. Few are likely to miss the CTB. For all of the convenience to Manhattan that LaGuardia offers, a flight delay when departing from the building could be equal to a sentence to hours of often hunger-filled boredom. The wi-fi can be spotty, the majority of food and shopping concessions are located outside security as are most of the airline clubs. This is not to say that the Delta, Marine Air Terminal and US Airways terminals offer significantly better amenities – they simply do not face the same capacity and design deficiencies that the CTB does. But the now derided CTB was not always seen this way. “This building is simply beautiful,” said Marie LaGuardia, the widow of former New York City mayor Fiorello LaGuardia, to reporters at the opening celebrations of the CTB in 1964. The six-block long terminal then represented the epitome of the dawning jet age – steel, glass and a soaring, if international style, future. What a difference 48 years makes. Edward Russell is a financial journalist and airline enthusiast based in New York. The son of a pilot, he’s been spotting and collecting airline memorabilia since a young age and has been writing about airlines in the US and Asia since 2006. Follow him on Twitter @e_russell. I can’t understand why they are looking to rebuild (essentially) a “retro” floor plan; very close to the current configuration; which is horrible! It’s a small space with no room to expand. Have any geniuses at the PANYNJ looked at Tampa International? That design (award winning; copied by many cities world wide) still works quite efficiently more than 40 years after it’s opening. Ideal for the tight space that is LaGuardia as it’s vertical (Main terminal on the current position of the central parking garage) with new parking levels several stories above it. I left LI 25 yrs ago to the Tampa area; JFK, LGA and EWR are cluster——s in comparison.